I have been so busy decorating houses you would not believe how many I am working on. When the new Dino bundle came out from game stop. I started working it this house asap. I have been wanting to create a Prehistoric/ Aztecian style house for a very long time. I thought I would show how far I am along with this house and explain my decorating style. As you can see I wont be doing much to the top level of the pyramid . I will add a few of the new cratfed Gold Azteca Columns as those I believe would look amazing in the corner spots of top view. I also added the Sun Dial from MMO that was given out. This house is so amazing with beautiful features. On the sides of the pyramid are these large land areas that can become a vast forest, stomping grounds for all your dinosaurs or even a Aztecian village! With some well placed crafted leaning palms and a few of the large willow trees from Celestia you can create a small forest easily. 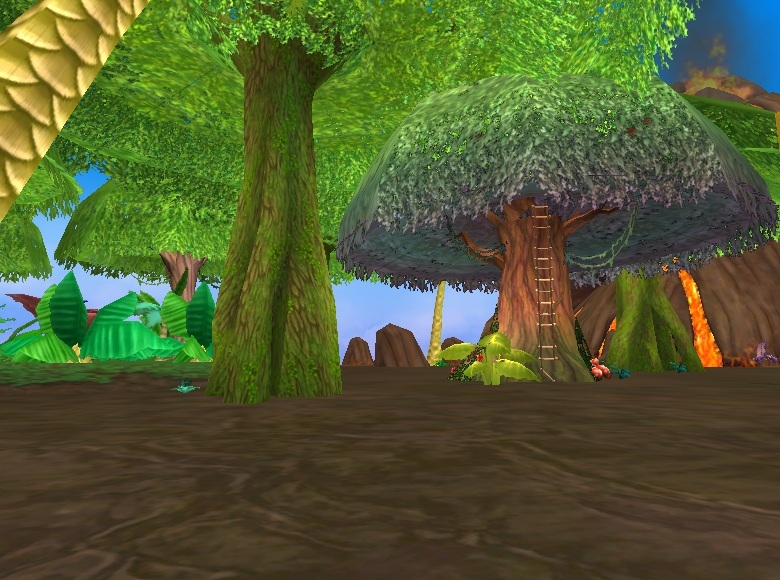 Add in some minor details like logs, plants and flowers and your forest comes alive. An Aztecian village can be easily created with gorilla huts from Zafaria and misc details items from Azteca you can create a well lived in village. Added food, weapons for safety and much needed fencing to keep out any unwanted wondering dinosaur sure does bring this small village to live. I even hid the mini tag and zeke games within the trees. ;) I thought this house would be amazing for those games. On the other side of the pyramid you can find a smaller land area in which I created a flying dinosaur area. These dinosaurs come in the prehistoric bundle from Walmart. It also comes with this amazing tree house decoration. 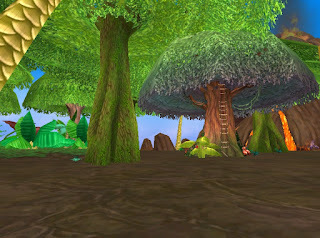 You can actually climb inside this tree house and receive gifts each day. Another smaller area I am still working on will be for those stegosaurus that comes in the Dino bundle from Game stop. I will save that for my finished house segment. I am adding plant life to give them a very special home. Last place I can show at this time is this grand entry. This entry has a sunken in area in which I place a crafted stone pond though You can use any type of item in this area. 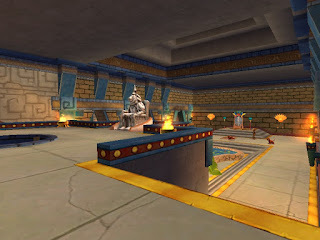 I love the actual throne base Kingsisle has made in this room . I crafted the feather throne, some fans, even a mannequin with the Dino bundle gear on it to be the king of this pyramid. 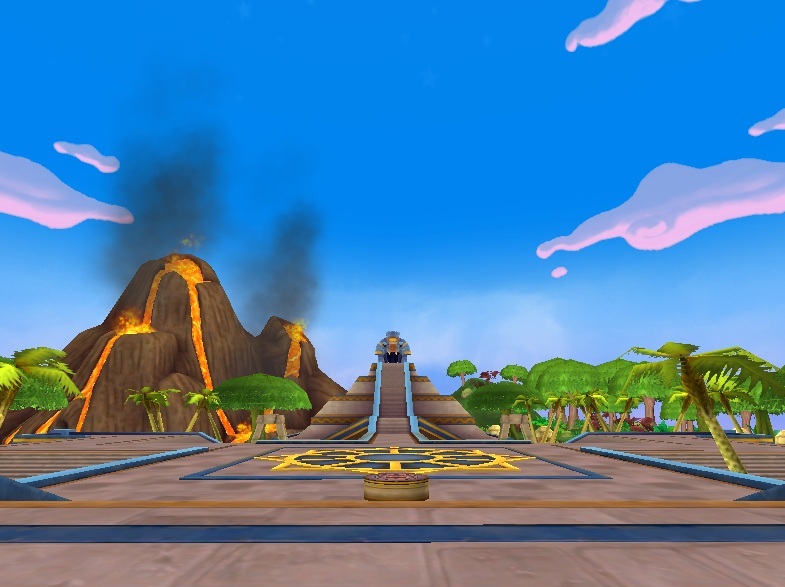 On the top I place a statue and crafted 2 of those crafted Azteca blazers. This is where I have to end this segment and continue on decorating. Until next time. Happy house decorating . It looks amazing, Paige! *. * Keep it up! Where do you get the mannequin? Thx Paige!!! :) But which vendor sells it? 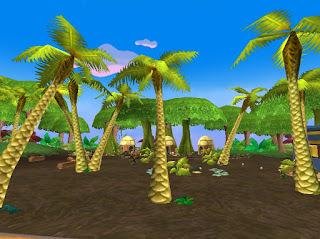 Where did you get those Aztecan huts for your awesome village? 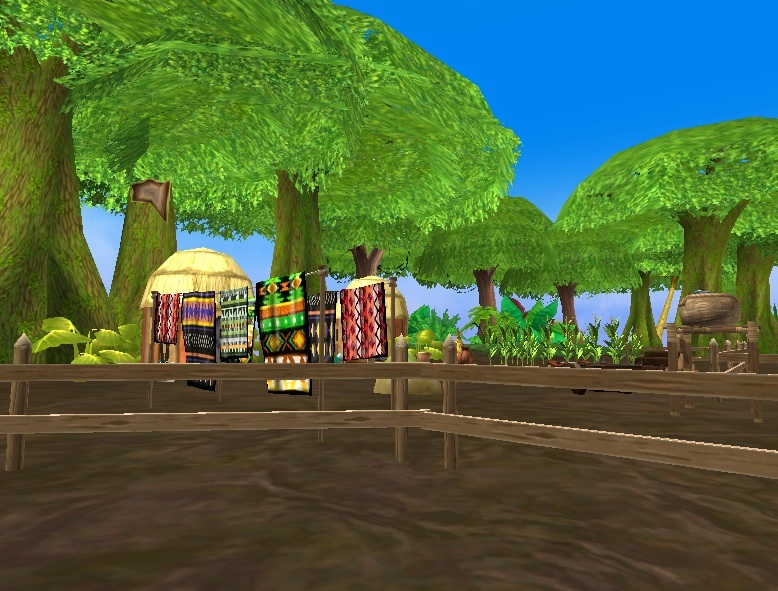 Gardening and farming When gardening sell all snacks ranks 6 and under and all TC. Halfang is always a good farming spot.